The cake was a lie, but these cookies aren’t. 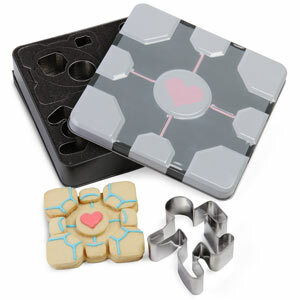 These cookies cutters will allow you to make sweet and sciency cookies for your very own companion. Set includes a Portal, Turret, Running Test Subject, Falling Test Subject, and multiple cutters to make a multi-layered Companion Cube. Plus the whole set comes in an adorable and collectible companion cube box. 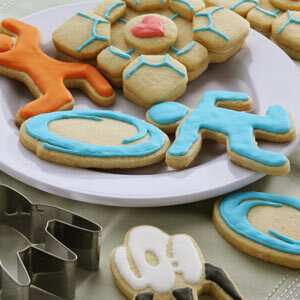 Portal Cookie Cutters: $19.99 at ThinkGeek.com.